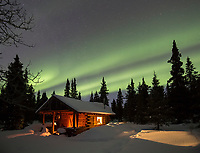 Stepping outside on a cold, clear, night to watch the aurora dance in the dark skies overhead is a magical experience that never seems to get old. 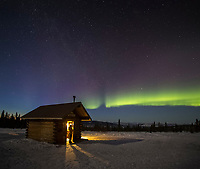 Even veteran Alaskans that have seen the aurora countless times are lured from the warmth of their homes to venture out and watch the luminous and colorful skies. DISPLAY OPTIONS | | 100 sample images from this category. Try a keyword search to see them all. 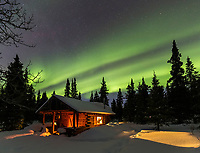 Northern lights over the Chena River in interior Alaska.